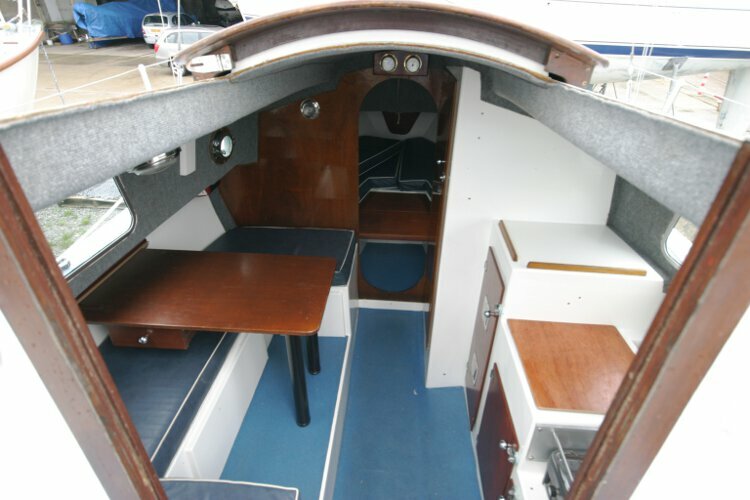 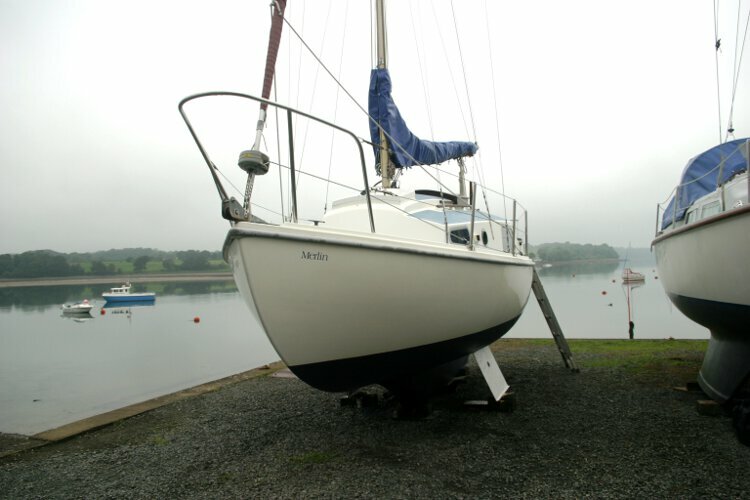 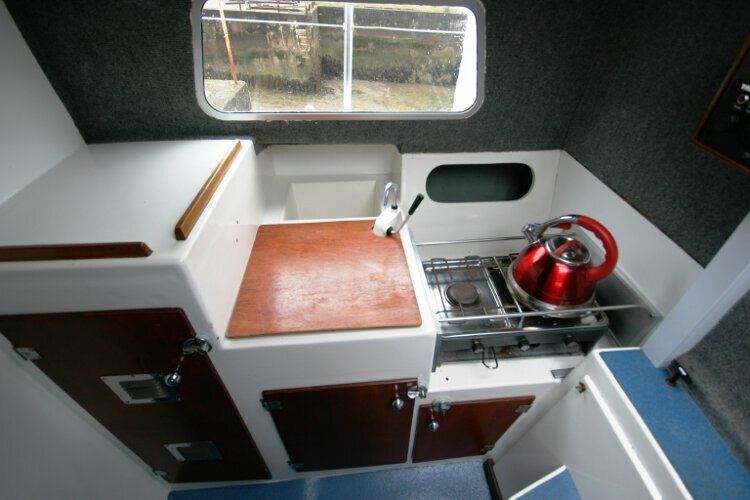 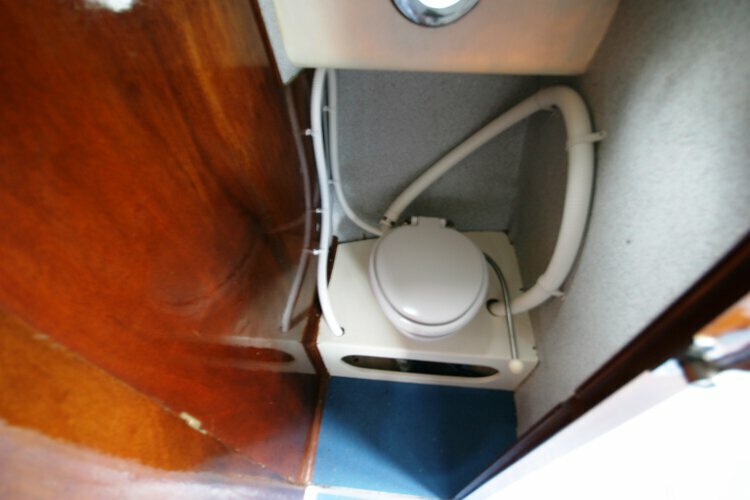 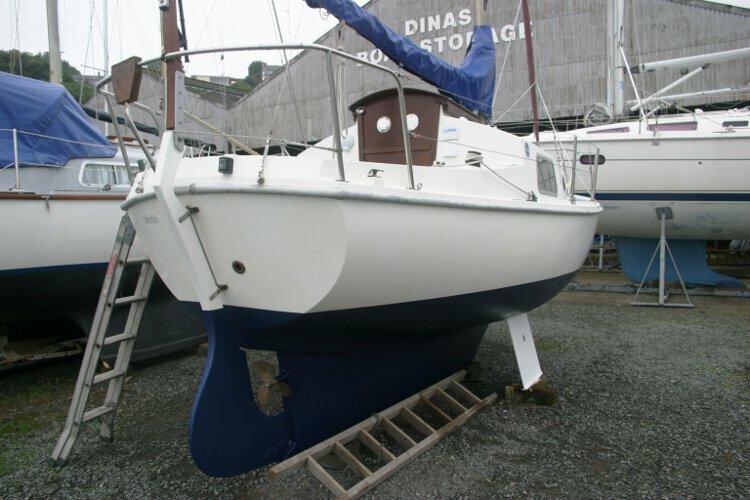 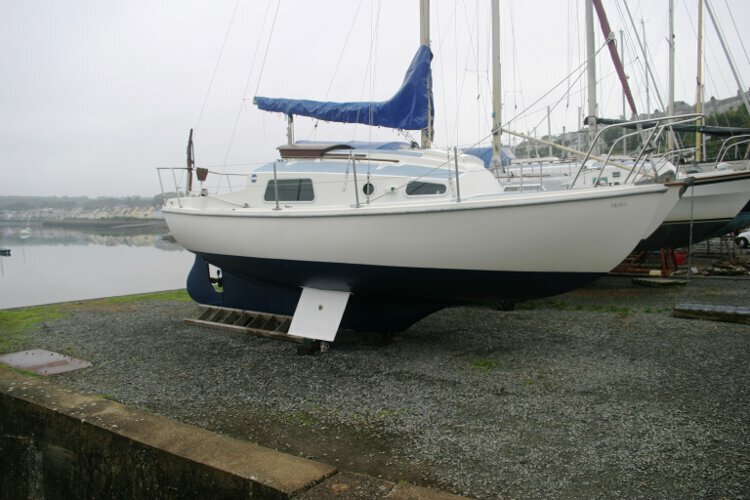 For sale at a bargain price, this well maintained little yacht is a must see for anyone looking for good sea keeping ability combined with a roomy interior. 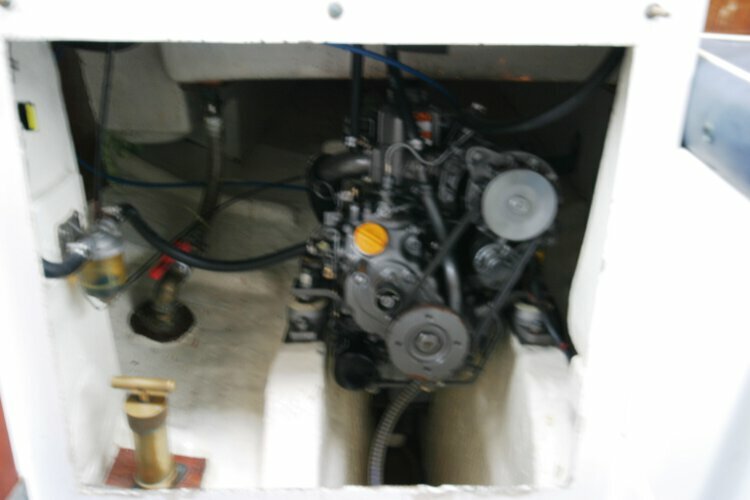 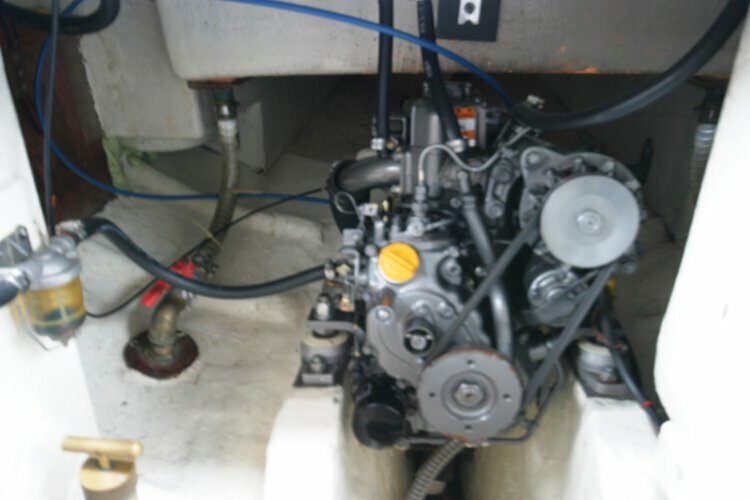 The Yanmar IGM 10 engine was installed in 2006, and the three bladed propeller fitted in 2007. 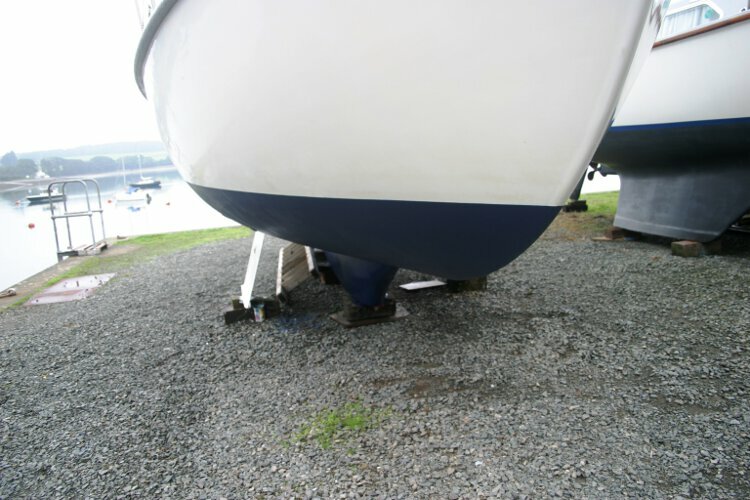 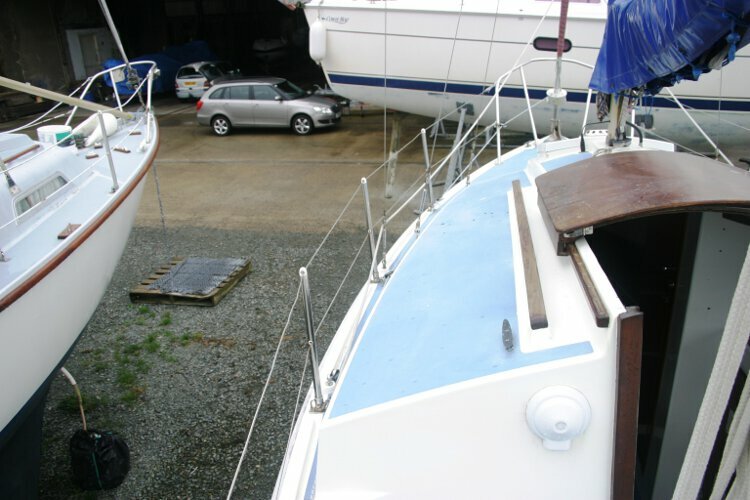 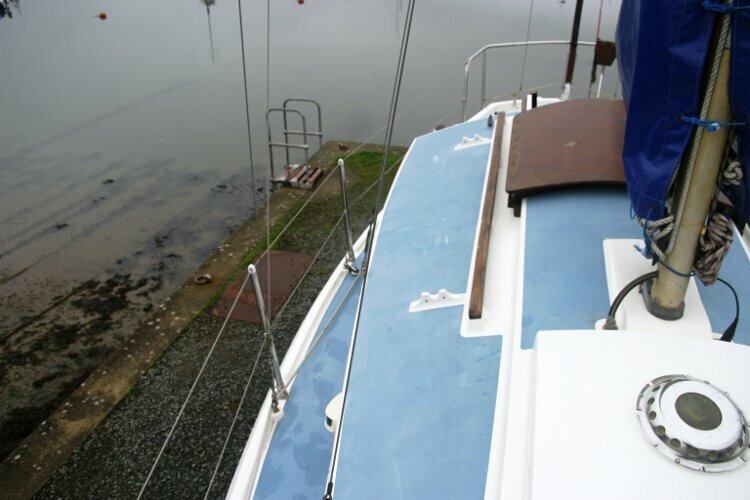 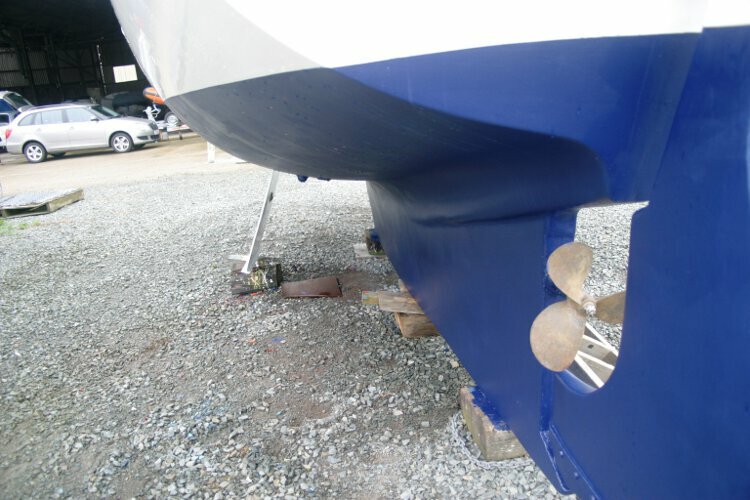 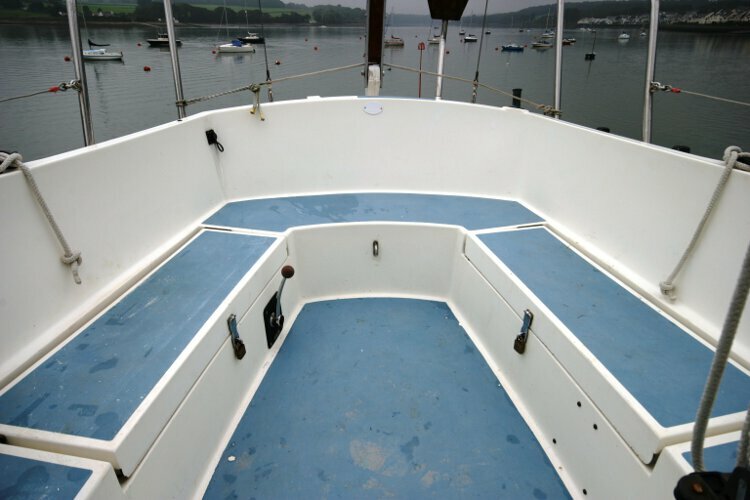 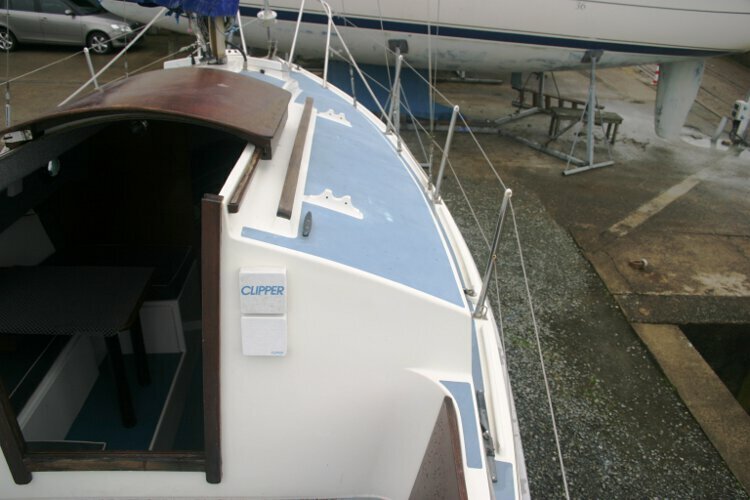 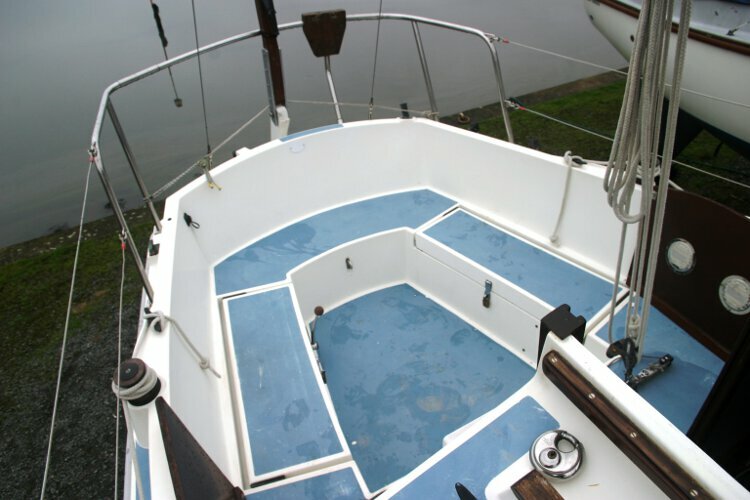 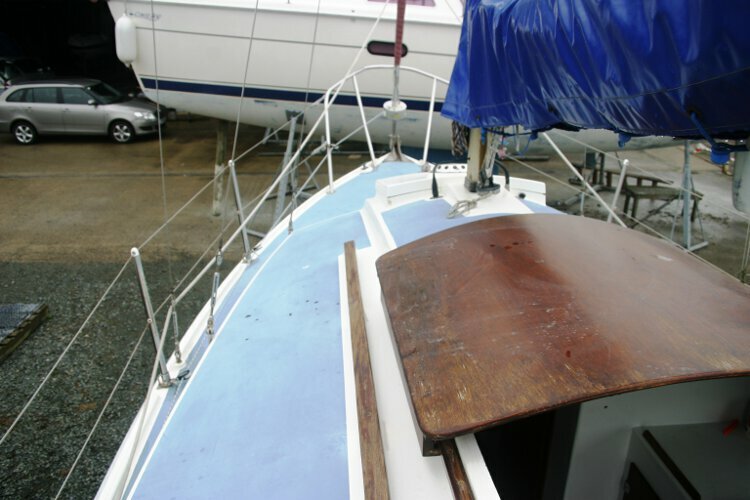 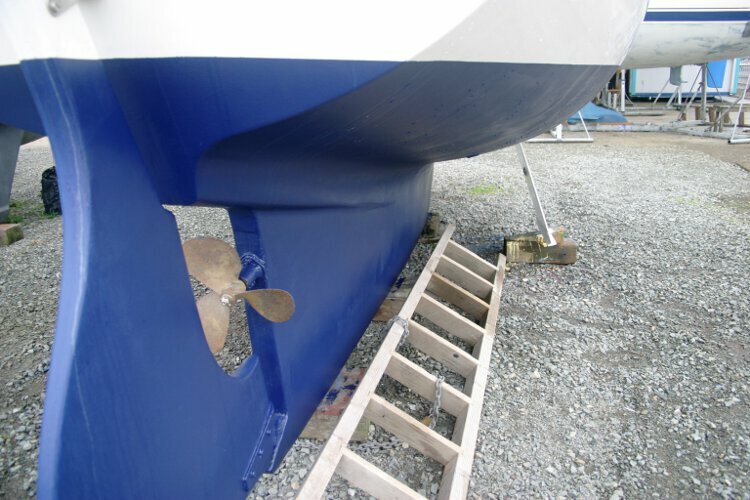 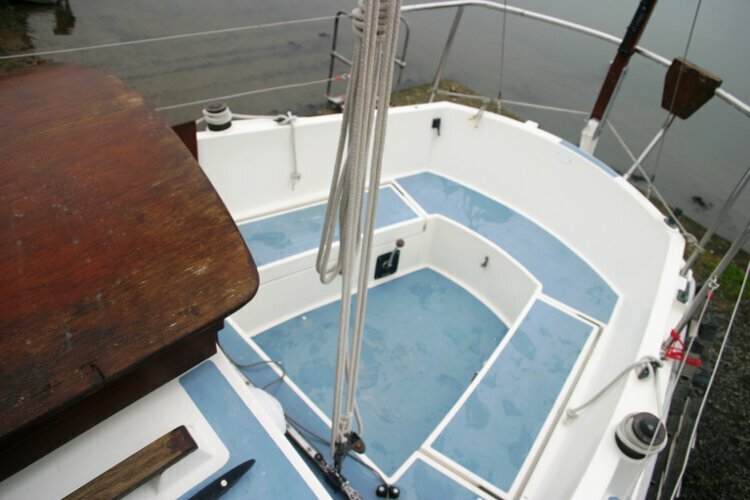 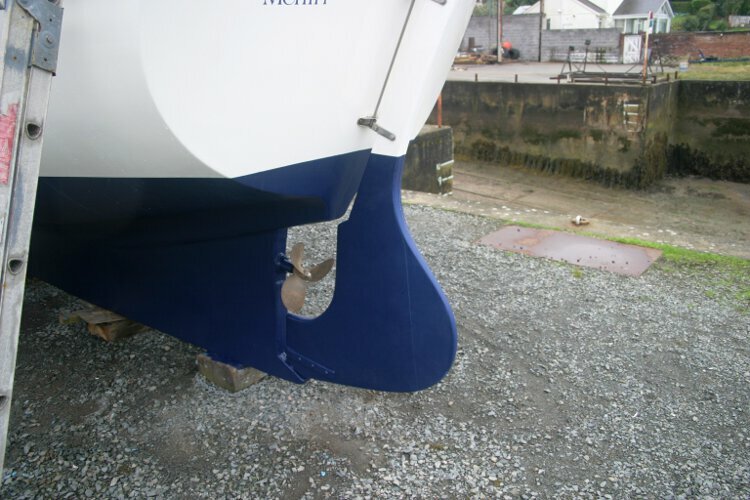 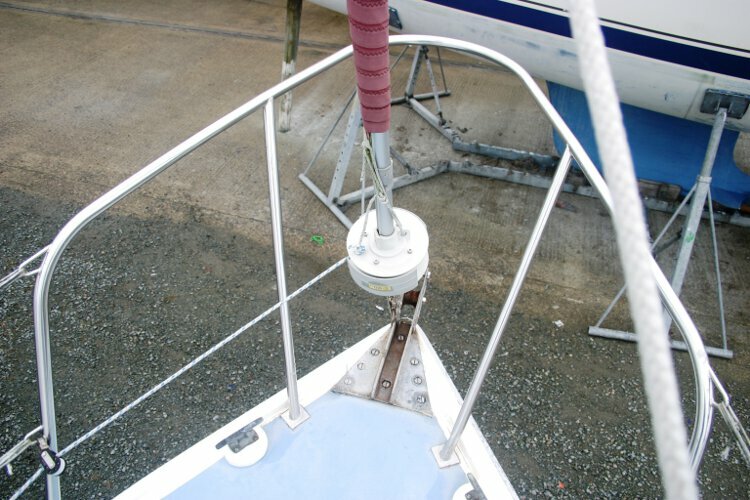 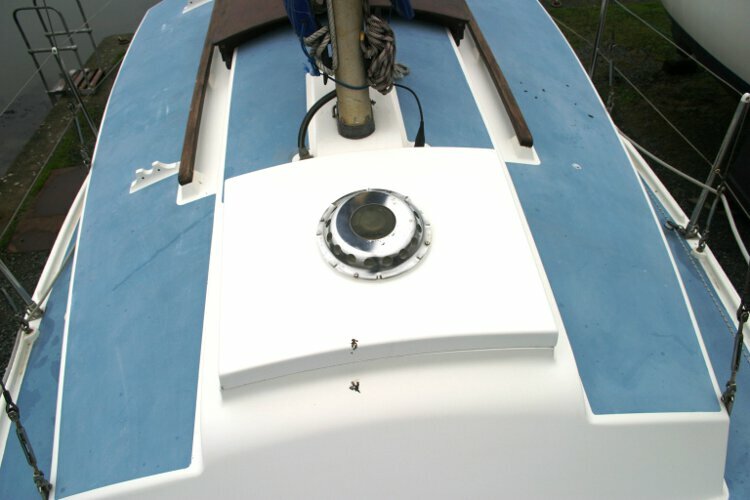 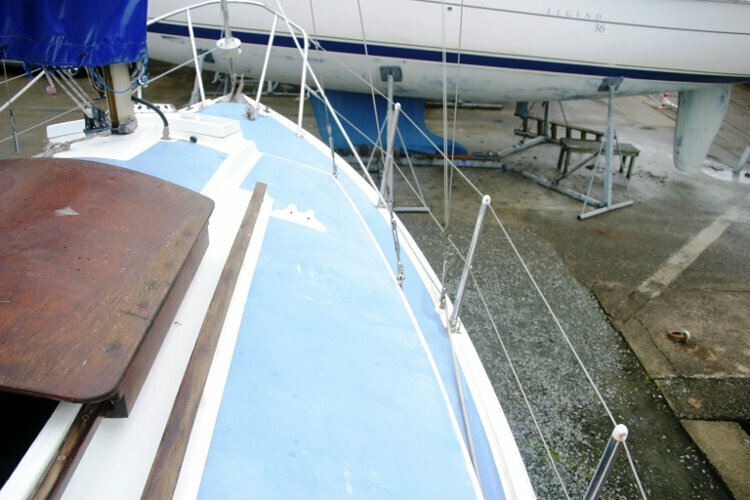 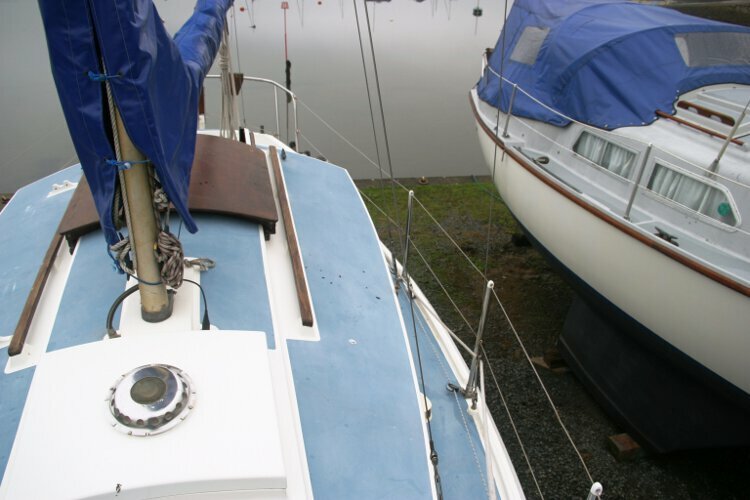 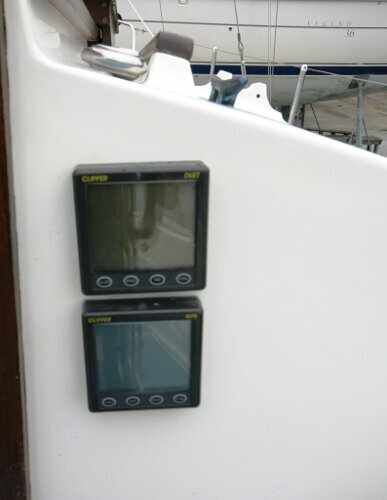 Her owner has maintained her to a high standard, in 2006 the hull was given 5 coats of epoxy resin. 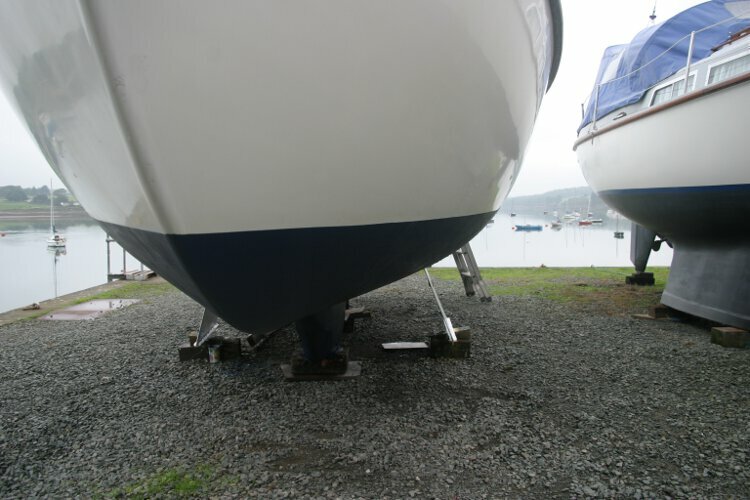 All standing and running rigging was replaced in 2006. 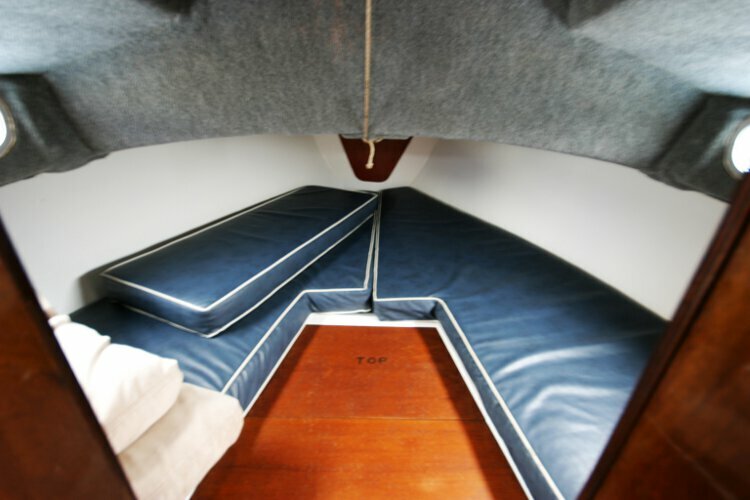 There are four berths in two cabins. 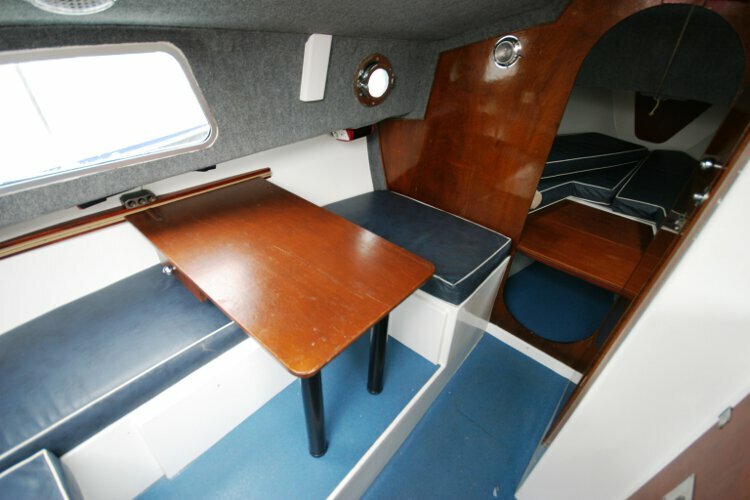 A separate heads compartment and a saloon table. 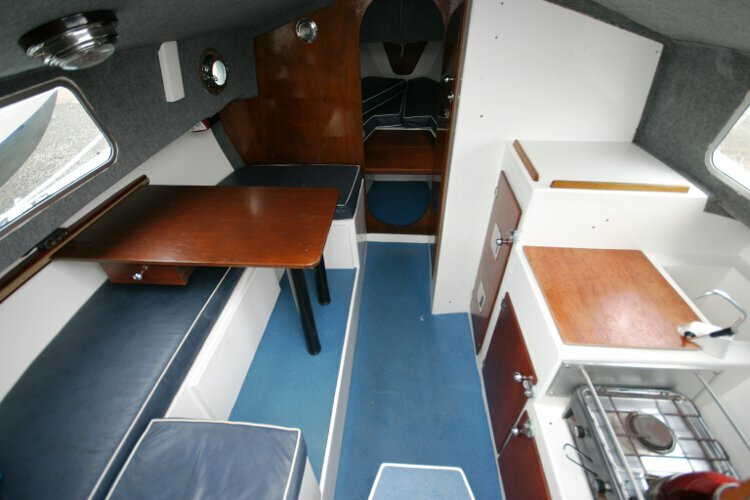 There is standing head room in the saloon. 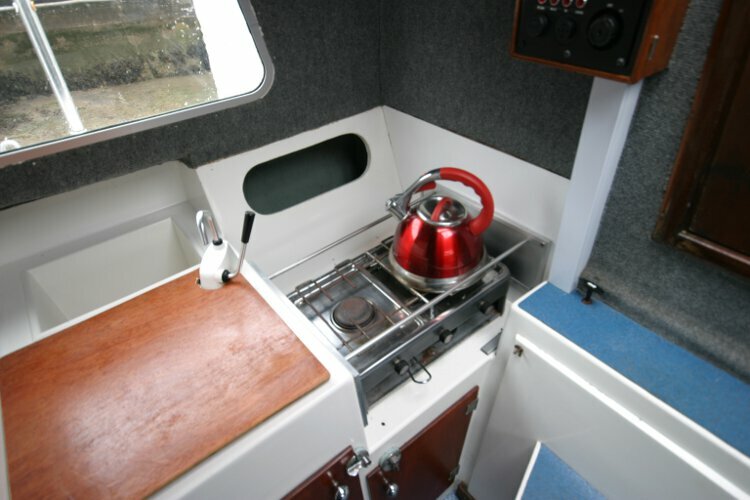 Two burner gas stove with grill, sink with hand pumped fresh water. 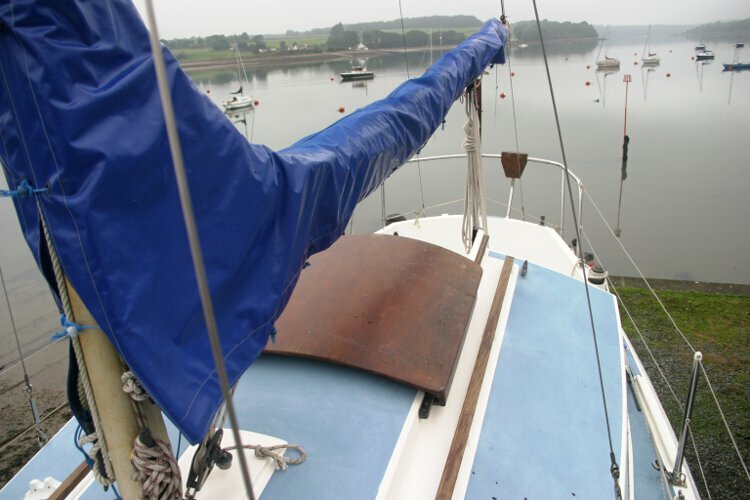 All sails are by Jeckells in tan. 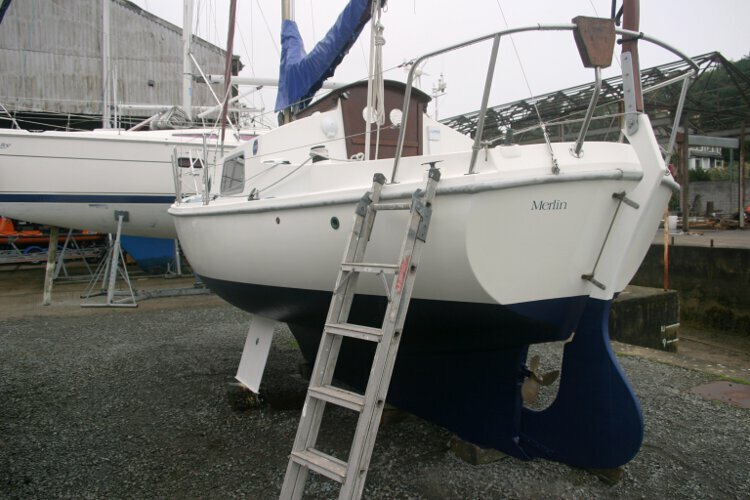 Main new 2007 very good condition. 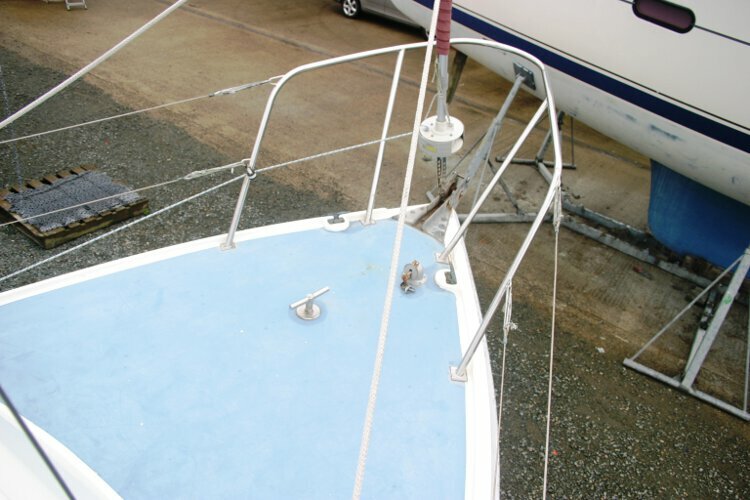 Furling genow and 1, 2 &3 jibs, all good condition. 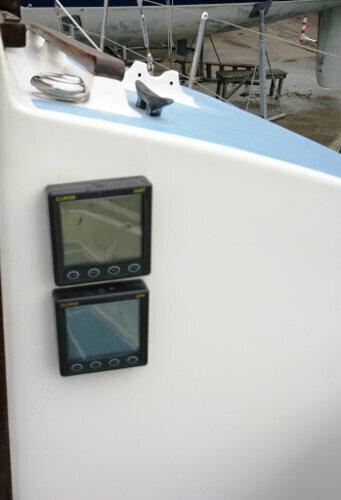 3x 12 volt 40 amp batteries, 12v DC & 240 ac inverter. 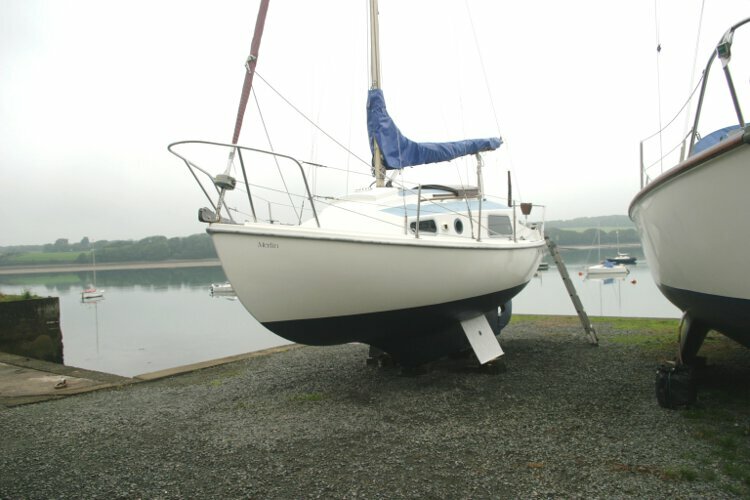 Avon redstart tender, 2x Bruce type anchors and chain, 1x Danforth anchor and chain. 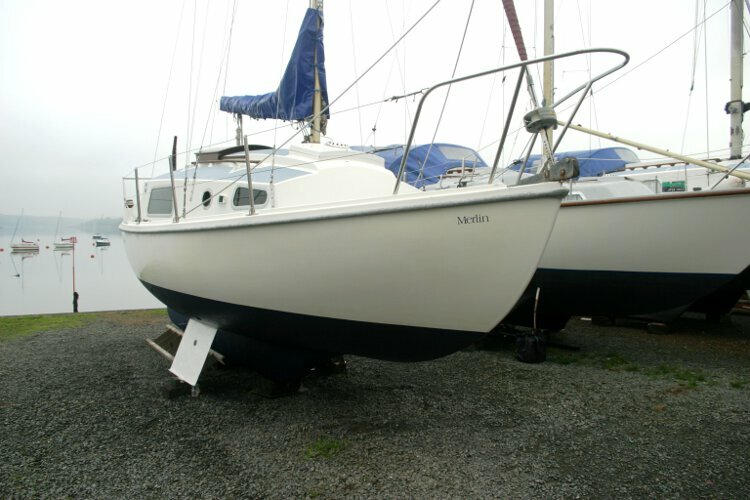 This boat is no longer for sale and remains here solely as an information resource for those researching Macwester Rowan 22's.